"Tara was awesome! Everyone really enjoyed her keynote message and we received great feedback from all that attended." "Tara was fantastic. The keynote was incredible, and she led a dynamic half-day, interactive workshop with our instructional coaches. 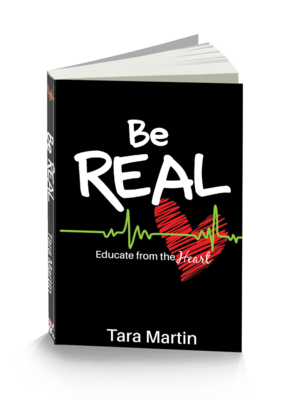 Our coaching program is new and they hadn't received any training until Tara's REAL Talk Treasures. The only complaint was everyone wanted more time with Tara. We hope to have her back for a full day!" "Tara Martin was fabulous! Her keynote engaged the audience; provided relevant, personal examples; and she was immensely professional." "Tara had a wonderful keynote presentation that connected well with the audience. They especially liked how open and honest she was about her life experiences."